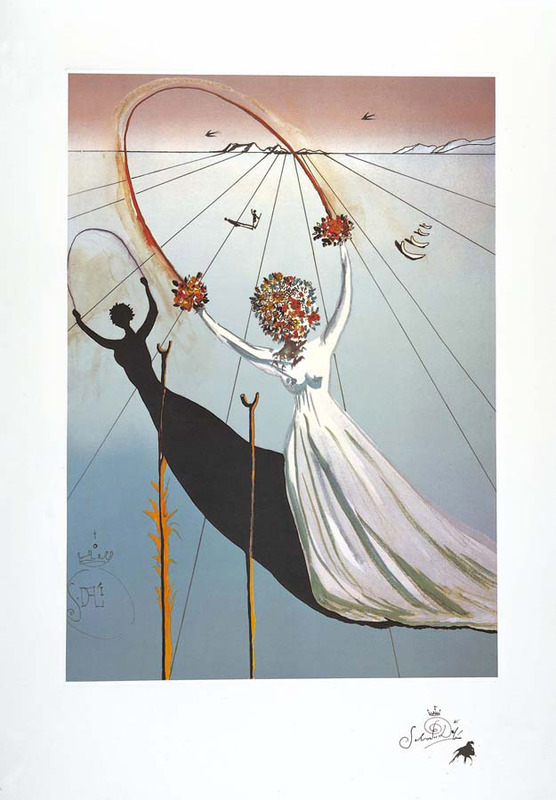 Perfectly located just behind the legendary Place du Tertre, the “Espace Dali” gallery explores an unexpected facet of Montmartre’s artistic history. 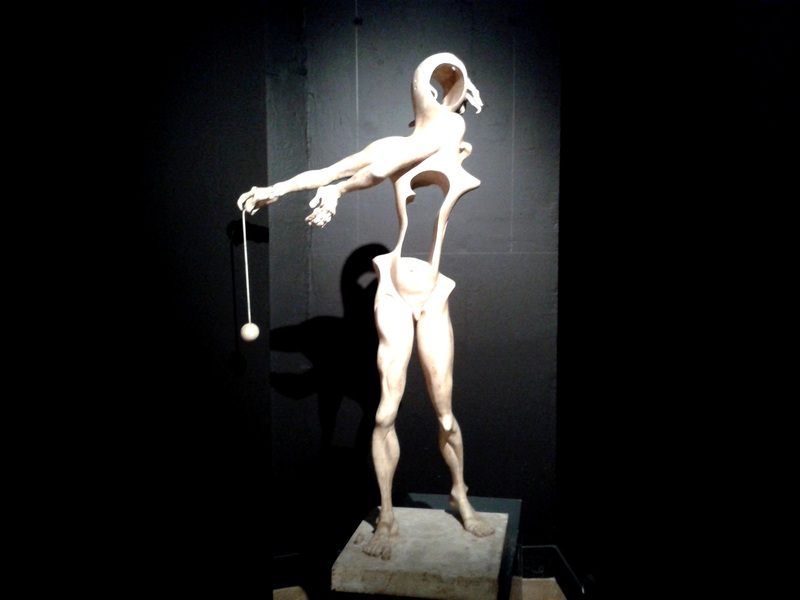 Hosting France’s largest collection of Dali’s sculptures, the gallery proudly exhibits around 300 original artworks – among which sculptures, engravings, sketches and furniture pieces – a unique permanent exhibition celebrating the wild Catalan genius of the Master of Surrealism, Salvador Dali. 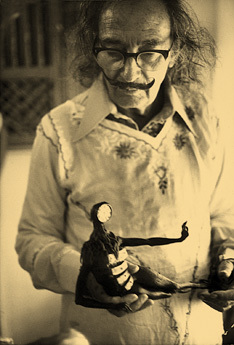 Exhibiting a generally unknown aspect of Dalí’s work, with artworks such as The Space Elephant, the Lobster Telephone, the famous Limp Watches and the legendary Mae West Lips Sofa – Dalí’s creative mastermind thrives into his three-dimensional chef-d’oeuvres, recreating some of his most celebrated fantastic images and bringing to light his favourite surrealistic themes and imagery. 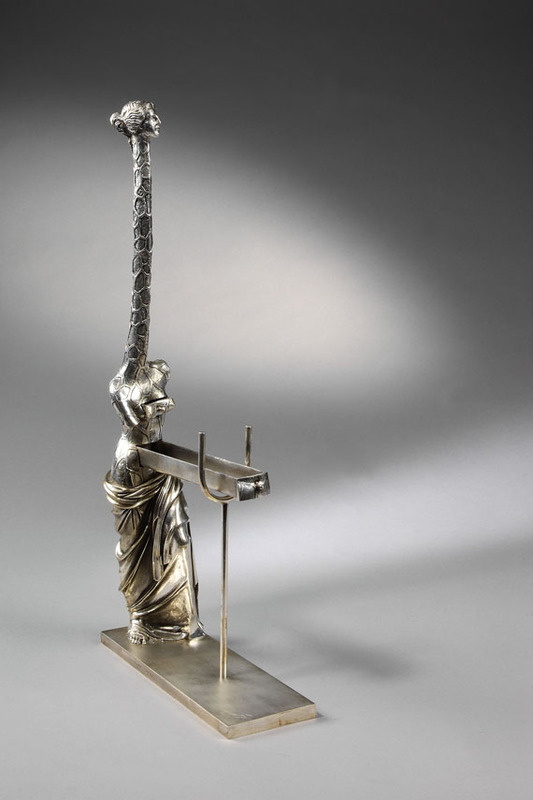 Dali’s first attempt at sculpture, as narrated in his autobiography “The secret life of Salvador Dali”, took place when he was a child attempting to make a model of Venus de Milo whom he saw painted on a pencil case. Years later, as a surrealist artist struggling to convey the subconscious and the complex world of desires and dreams, he followed the tradition of Marcel Duchamp and explored how the meaning of regular objects changed when surrounded by unusual materials. 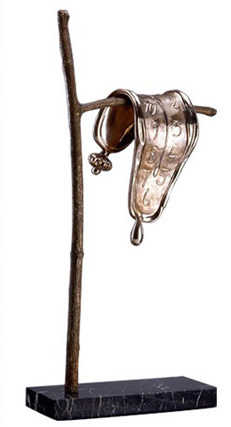 His “objects with a symbolic function” exhibited in the museum and created by juxtaposing items not normally associated with one another reveal the secret desires of the unconscious. 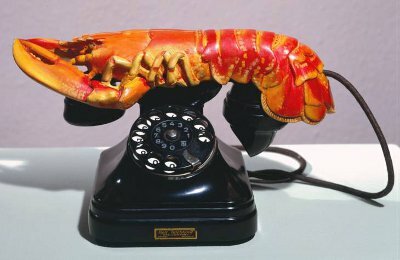 Seeing a strong sexual connotation between lobsters and telephones, he created his “Lobster Telephone” – a composite of a working telephone topped with a plaster-made lobster. In “Venus à la giraffe” he placed the classic and armless statue of Venus atop the slender spotted neck of a giraffe thus revising classical art and creating a startling and unexpected new vision of beauty. 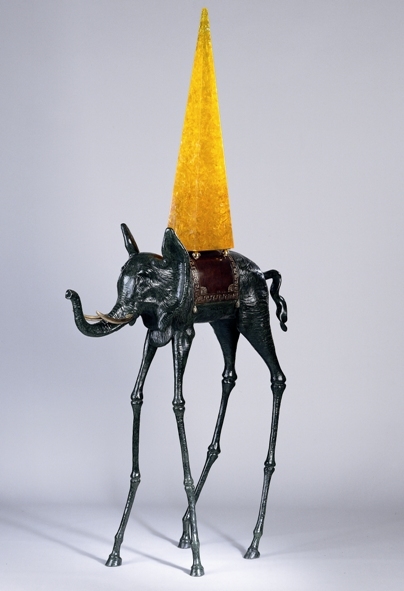 His “Space Elephant” embodies the famous Dalinian symbol of the elephant carrying an obelisk through the Egyptian desert – a fantastically surreal creature moving through space symbolizing in a flight of fantasy the progress of technology in the modern world. Interestingly enough, one of Dali’s most emblematic images, that of the melting clock, was not inspired by the theory of relativity but by the surreal perception of slabs of Camembert cheese left melting in the sun. 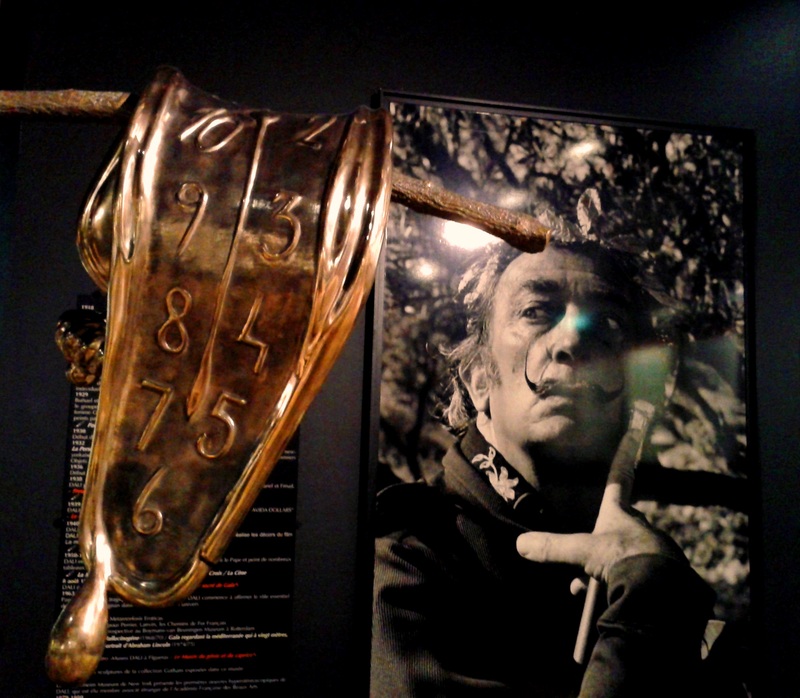 In his sculpture “The Persistence of Time” featuring the image of the famous clocks, time is fluid and cannot be set as the speed of time is widely variable in human perception. 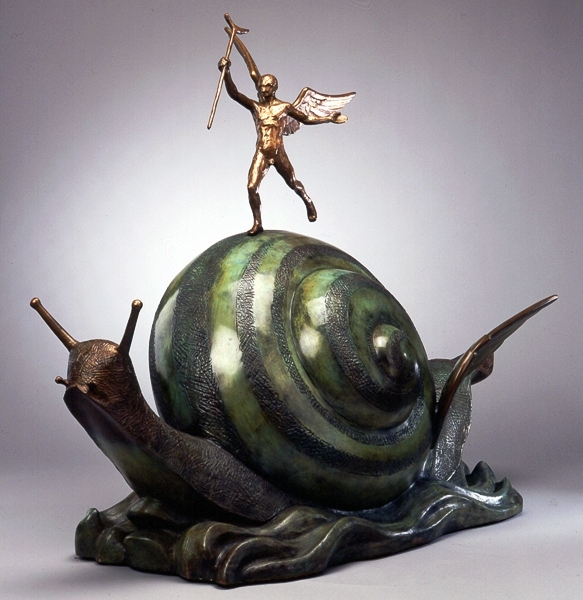 Fascinated by the dichotomies existing in nature, Dali creates another interesting contrast with his sculpture “The Snail and the Angel” – the snail being a symbol of the slow passing of time and the angel visiting it to bestow it with the gift of unlimited speed. Paying homage to Dante, Rabelais, Cervantes, Lewis Carroll, Shakespeare and other masterminds of world literature and expressing his singular surrealistic vision, Dali illustrated major themes of world literature, mythology, history and religion and created a vast collection of images, characters and allegories, among which Alice in Wonderland, Romeo and Juliette and Tristan and Isolde to be seen in the museum. 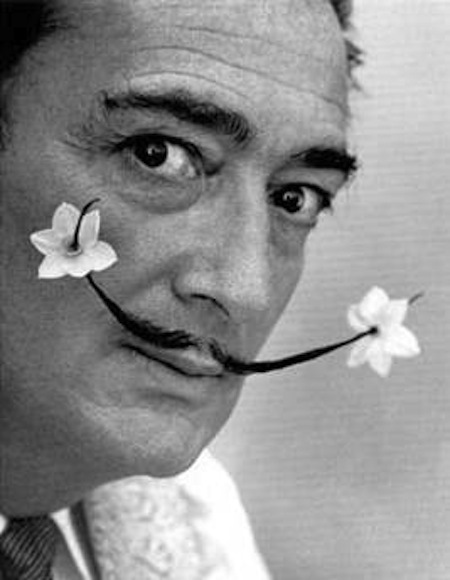 Discovering new ways to express his surrealistic ideal and following his perception that “art should invade life”, Dali became interested in interior design after meeting the famous interior designer Jean-Michel Franck. 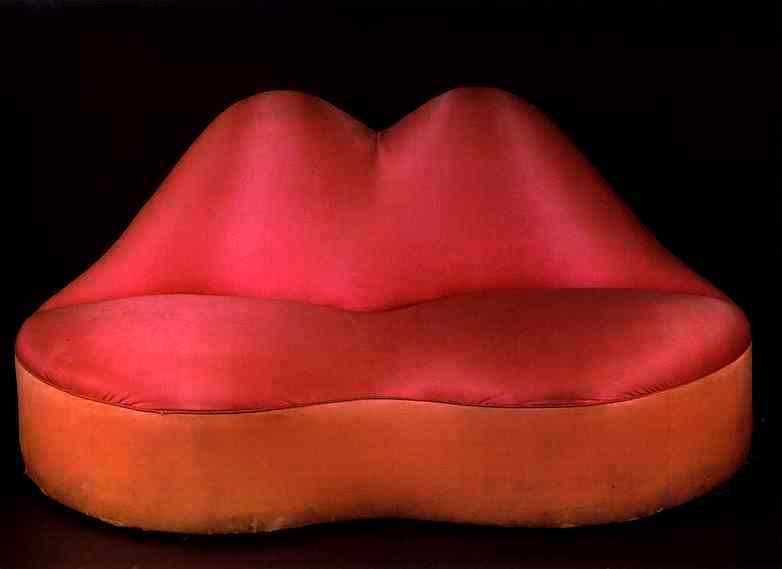 A complete artist, Dalí became a visionary designer who created various pieces of furniture such as the illustrious Mae West Lips Sofa. In 1935, he used a photograph of the actress to paint a watercolor called “The Face of Mae West which may be used as a surrealistic apartment”. 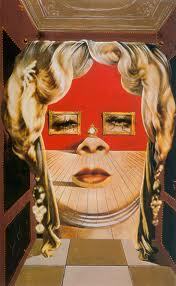 In the painting, West’s face was designed like a room where each facial feature was an element in a living room – her nose became the fireplace, her lips gave birth to a sofa, her eyes were transformed into pictures… The spin-off masterpiece created from this picture is the Mae West Lips Sofa which is on exhibit in the gallery (the fabric being the very color as the lipstick worn by the actress herself). 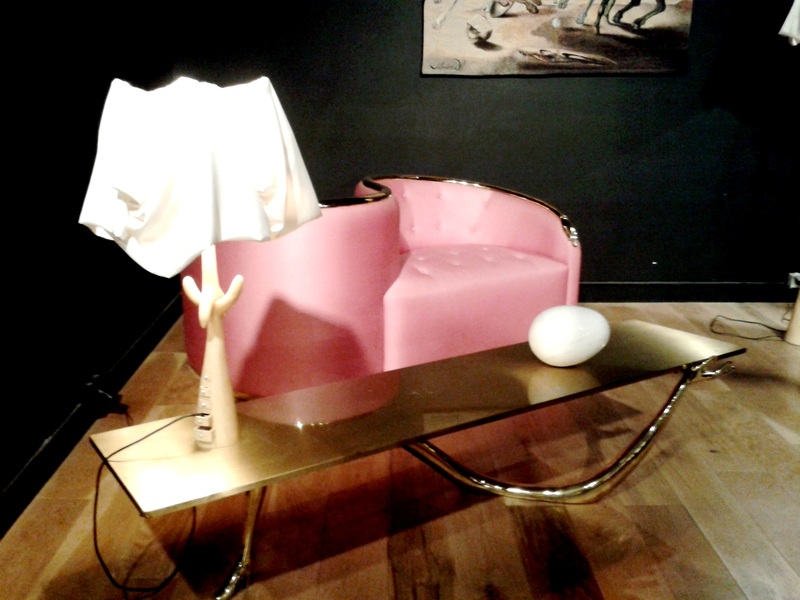 Another noteworthy example of Dali’s pieces of furniture exhibited in the Espace Dali is Dalí and Gala’s Vis-à-Vis living room – a setting comprising of a three-dimensional reproduction of some of the Master’s projects and furniture creations displayed in a manner reproducing a small living room. 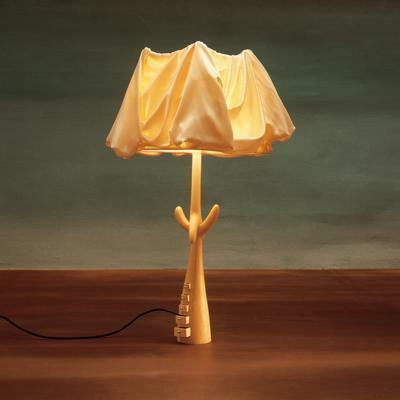 Here you could observe surreal pieces, such as the Dalí and Gala’s Vis-à-Vis sofa aimed to encourage private conversation and exchange, or the low table whose leg looks like a long arm with a hand on one end and a foot on the other, as well as The Lamp with Drawers and the Floor Lamp with Crutches whose draped fabrics are sensibly designed to “clearly evoke the torero’s gesture of crossed-hands as he waves the muleta in front of the bull before dealing the death-blow”. These and many more surreal wonders wait to be unveiled in this rare and precious museum. 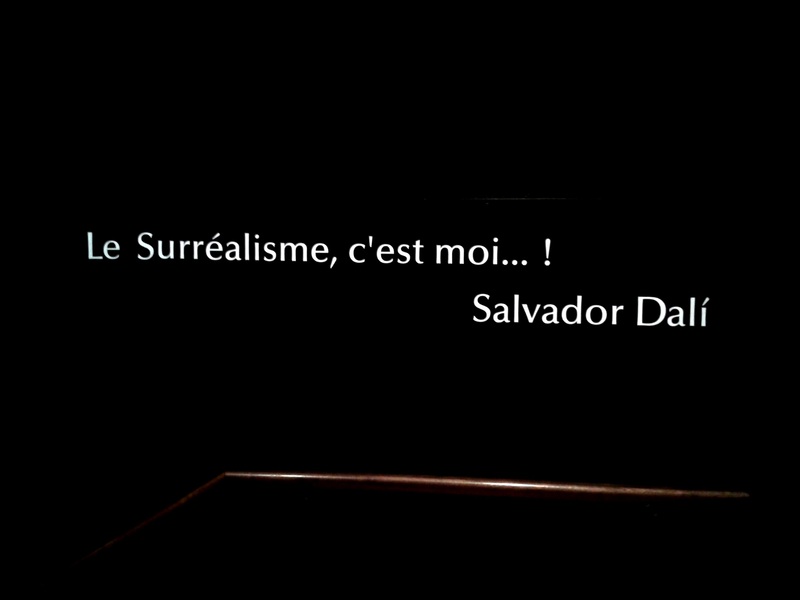 After visting “Espace Dali” where you’ll get a chance to explore a different Dali whose surreal vocabulary will no longer be restricted to his paintings only, you will also come to realize that the world as we know it will never be the same again.